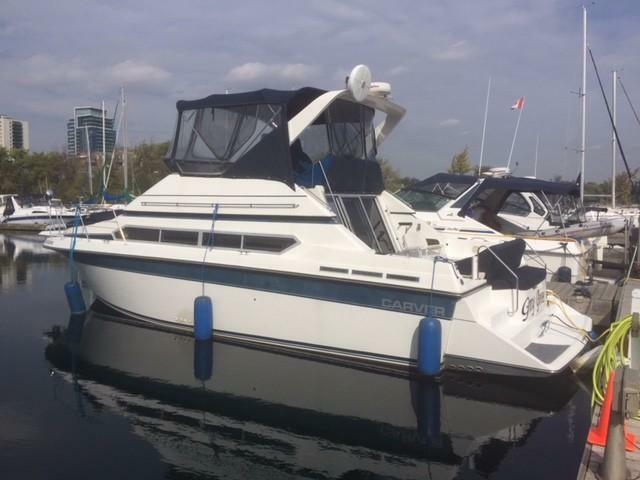 Carver Yachts 34 Santego for sale in for P.O.A. 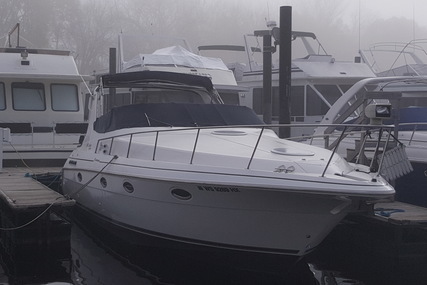 The Carver 34 Santego combines sporty contemporary styling with luxury and convenience. The spacious interior provides sleeping accommodations for six, including a large, private master stateroom with island berth and two comfortable dinette lounges that convert to double berths. Plush carpeting, open-concept styling, and generous teak accents add elegant touches. 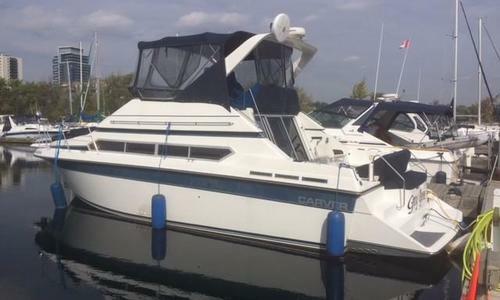 The head compartment with shower and vanity; and the fully equipped galley with electric stove, dual voltage refrigerator - freezer, and built-in wetbar add the amenities of home. Sliding glass doors lead from the salon to the roomy cockpit where a comfortable lounge offers space for entertaining and sunning, as well as storage. The integrated swim platform with ladder is a real convenience for bathers.